Picnic in the Park. 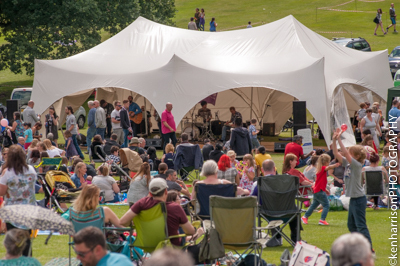 This annual free event put on by Warley woods Community Trust attracted large crowds who enjoyed a glorious sunny afternoon of live music, food, drink, craft stalls, dog show, donkey rides and even a Horse and Carriage. Again this year, Bearwood Promoters curated the music stage on behalf of the Trust, and 6Music DJ Stuart Maconie did a fantastic job of compering the afternoon’s music and reuniting a few lost items with their owners….